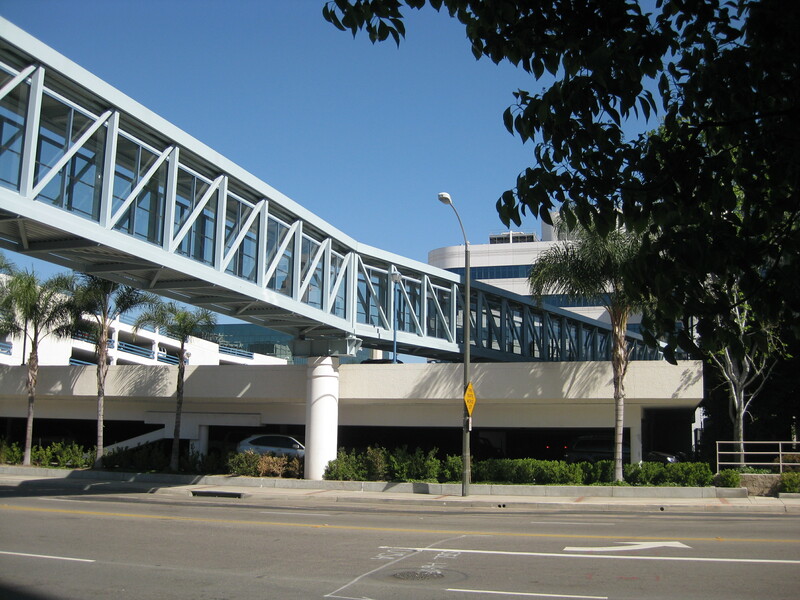 This new CHOC parking structure is connected to the main Children’s Hospital of Orange County by a 500 foot long elevated pedestrian bridge crossing a major six-lane street. 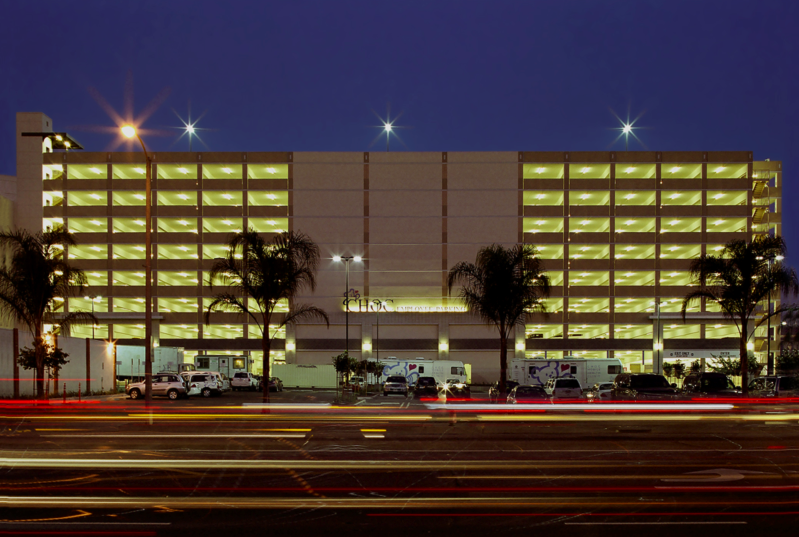 This parking structure provides 1,662 parking stalls on 9 above grade levels, for the employees of Children’s Hospital Orange County. 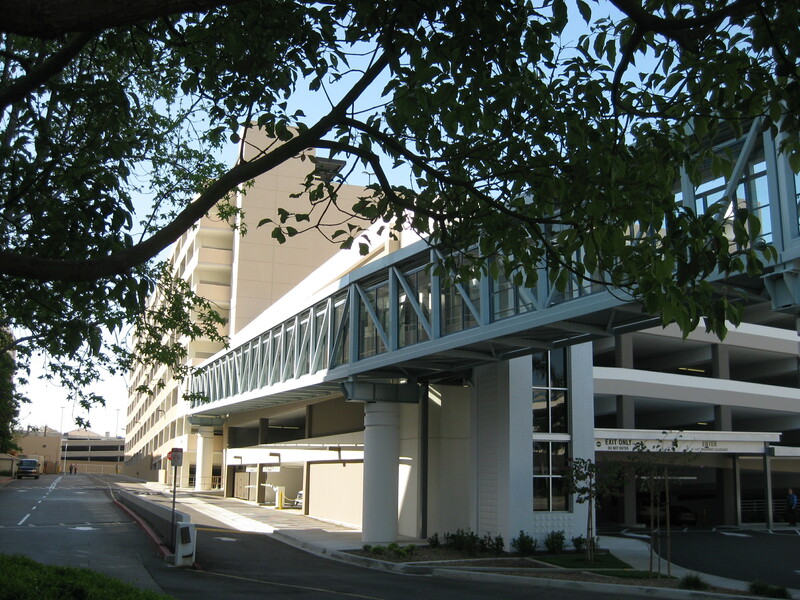 The parking project also includes direct and secure access to the hospital campus via pedestrian bridge over LaVeta Avenue. 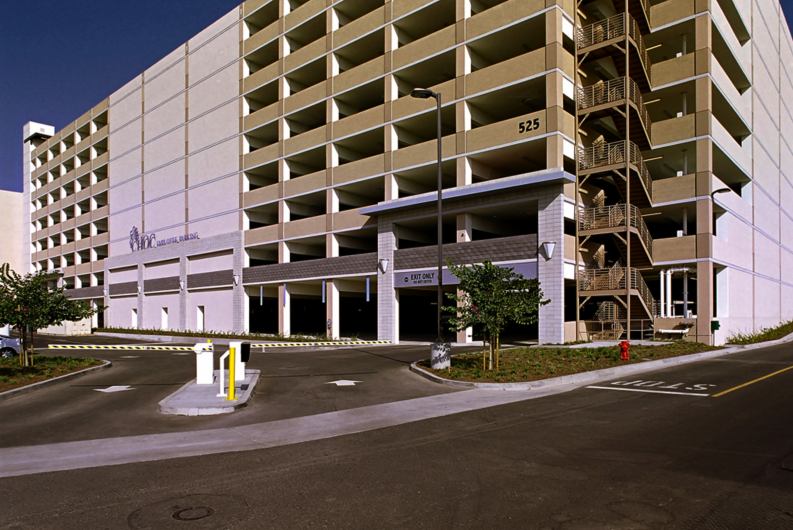 The parking project was developed using the Design Build delivery method for the client and was completed on time and under budget. The project is a three-bay, cast-in-place long-span structure. 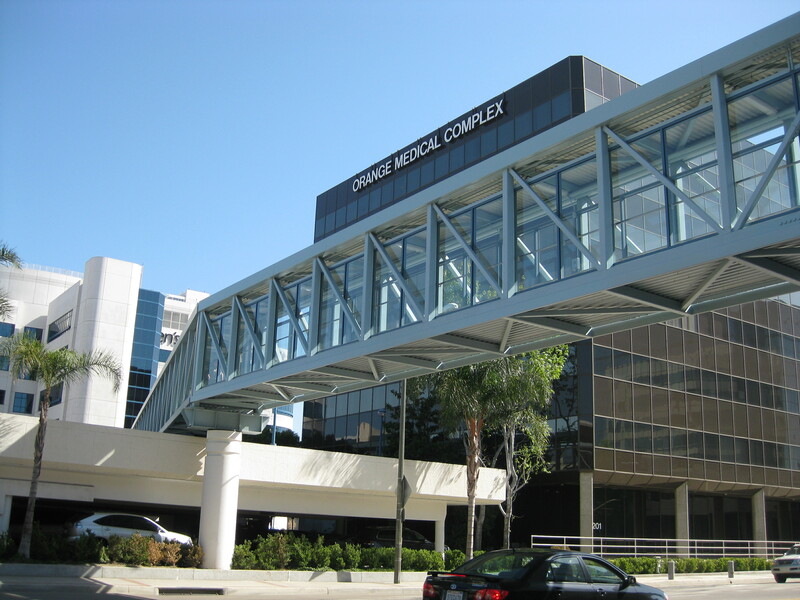 It is designed to weave into the architecture of the medical campus and to reinforce human scale. 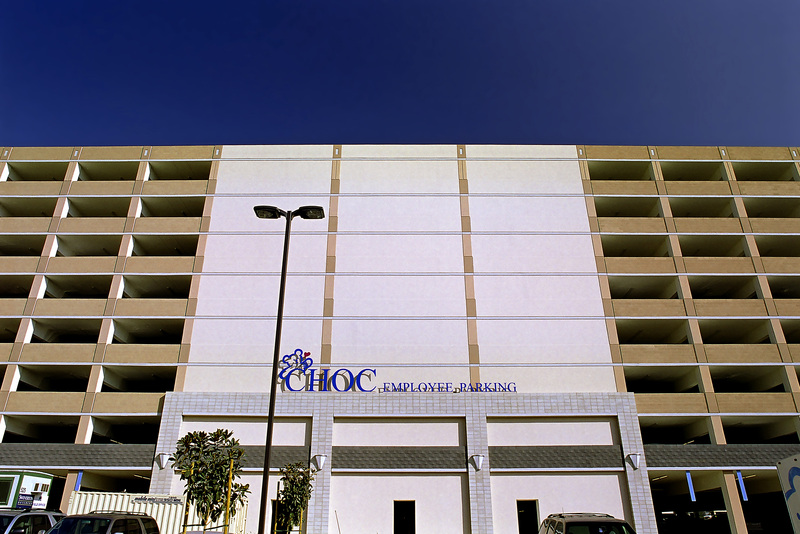 Specific details to enhance security and circulation add to client satisfaction. 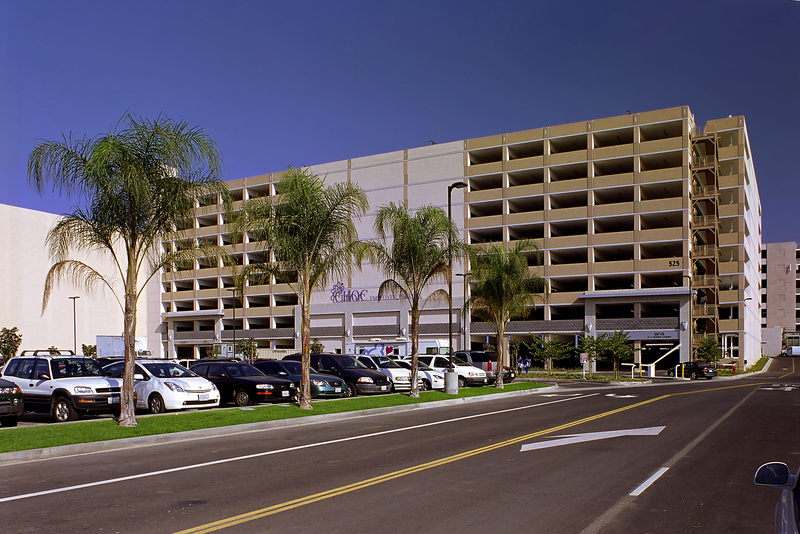 The 522,000 square foot parking structure includes a security and service office. The structure has integral colored brick spandrels with burnished brick accents.